This is the ORDER PAGE for all the materials. Download-able Audio and book files are available for purchase at the BOTTOM of the page. This page is still under a bit of construction, my apologies for the inconvenience. Email me if you have any questions, at info@ToolsforTorah.com. Paypal payment page, on which you can pay with any credit card. Finally, the workbook your students will love. Your Chumash class will never be the same. How many books are you ordering? What Parsha are you ordering? Update the actual number of books you want to order in the "Shopping Cart" after you click the "Add to Cart" button. Order Chumash Workbook DOWNLOADS at the bottom of this page. Note: NEW versions of these CDs are in the making for the New Editions of MY SIDDUR. Stay tuned HERE for updates on their production and availablility. Until then enjoy these classics! The tracks on these CDs are matched to the original version on My Siddur - first edition. Tefila & Bentching Trax CDs SOLD OUT: Sponsors for future printings welcome. Audio Downloads available at the bottom of this page. Please note that the Tefillah & Benching Trax CDs are chanted and sung in Sephardic / Israeli style Hebrew. Tthe Ashkenazic style Siddur is transliterated differently than the current CDs. Ashkenazic style recordings are in the process of being made! They will be featured here when they are ready, G-d willing soon! 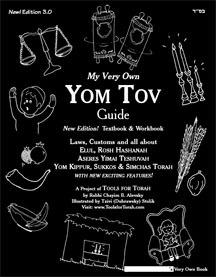 READ about the various editions of My Siddur here. Please note! At this time, the Shipping Charges are set only for the USA. Orders from other countries will be notified shipping cost via email. Shipping Options: Standard: Your order will arrive within 2 weeks of your purchase. Expedited: Your order will arrive within 1 week of your purchase. Cost is double of standard. and add the extra shipping cost using the donation button. For orders over $300 please use this payment option. Choose the Sephard/Israeli transliteration style edition you are ordering. Choose the Ashkenaz/American transliteration style edition you are ordering. 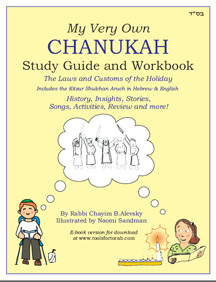 The Chanukah book is available in 2 versions. 2. [S] Transliterated into English 'Sephardic style" (Tefilot, Shabbat, Rosh Hashnana, Pesach, Purim, Chanukah etc.). Choose the style you want in the order menu! 3. [A] Transliterated into English 'Ashkenazic style' (Tefilos, Shabbos, Rosh Hashnana, Pesach, Purim, Chanukah etc.). Choose the style you want in the order menu. If we have it in stock - you will get it, otherwise, we'll send what we have! Order your printed copies here. USA orders only. Choose the payment button based on your shipping speed preference. Use this button for Regular Shipping. Order your DOWNLOADS* below, at the bottom of this page. You will recieve your downloaded copy within 1-12 hrs of your order. *Download purchase gives you the legal right to print as many copies as you need for your class for the current school year. AMAZING NEW CUSTOMIZABLE PHOTO HAGGADAH! Below is the DOWNLOADABLE section. All downloads appear as a link, on your payment confirmation page. Please save the link for future access to the page. Chumash Word List with Effective Learning System! to make as many copies as you need for your class. Over 400 of the most common words in Chumash Bereishis, with a fun, effective "Chavrusa" learning system for any age. with permission to copy for current school year. Order CHUMASH WORKBOOK Downloads here. See options. What Parsha Download are you ordering?